DARK Times, the sequel to Ethyl Smith’s lively debut Changed Times, follows the fortunes of rebel John Steel after the Battle of Bothwell Brig, where the Covenanters were roundly defeated by government troops. The war between King Charles II, who wanted to impose a new liturgy throughout his kingdoms, and the Presbyterian Covenanters who resisted, is a bloody period in Scottish history. The tale opens in the summer of 1679, with many of the beaten Covenanters taking to the heather and hills to avoid imprisonment, or worse. 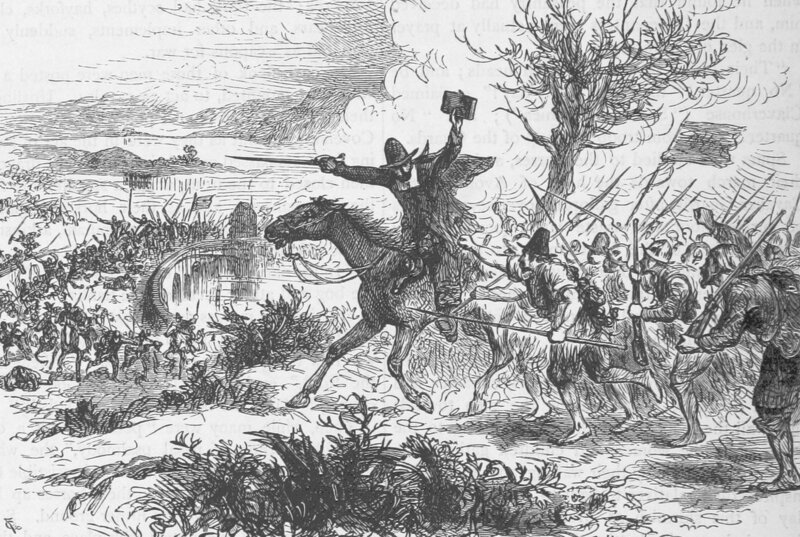 John Steel, who humiliated the Earl of Airlie by knocking him off his horse during the battle, finds himself a particular target of the vicious Earl’s vengeance. Steel uses his intimate knowledge of the landscape around Lesmahagow to avoid being captured but that angers the Earl even more. Airlie turns Marion, John’s wife, and their two young sons out of their home and warns their neighbours that anyone offering the Steels succour will be subject to the same kind of harsh punishment. Airlie tells Marion: “Under fugitive law I claim this farm and land. Frae this meenit on ye’ve nae richt tae be here.” Pregnant and unable to call on friends or family, Marion and her children have to live rough on the moors. Smith pulls no punches in detailing the violence and cruelty perpetrated by both sides but without lingering over the bloodshed. She sets the scene well, weaving in the day-to-day routine of 17th-century farm life, the hard work and hardships, to her tale. Town life is also vividly depicted, from the respectable businesses to the disreputable taverns, and busy market days at nearby Lanark. The sense of community is palpable, with family and friends helping each other out in difficult times, while petty squabbles between neighbours can grumble on for years. What really sets Smith’s novel apart, however, is her superb use of Scots dialogue. From the educated Scots of the gentry and nobility to the broader brogues of everyday folk, the dialogue sparkles and demands to be read out loud. Wonderfully chewy words and phrases abound, such as “high falootin ideas”, “fricht”, “richtfu”, and “thocht”. Even those with little knowledge of Scots can grasp Smith’s meanings from the context, and the eye and ear soon become accustomed to the resonant language. John Steel is based on the historical figure who lived through the turbulent Covenanting years, and Smith effortlessly intersperses other leading figures of the time with her fictional characters. John Graham of Claverhouse, Viscount Dundee, was loyal to the Stuart kings and enforced the law of the land with such ruthlessness he was nick-named Bluidy Claver. He was one of the most celebrated soldiers of the age and in Smith’s hands he is clever, urbane and sly. Reverend Richard Cameron, a radical Covenanter preacher, was known as the Lion of the Covenant. He had been studying in Holland, where he was ordained, before secretly returning to Scotland. He drew up the infamous Sanquhar Declaration, which openly denounced King Charles II as a tyrant and sought to exclude his Roman Catholic brother, James, from the succession. Cameron had a high price on his head. Smith shows him as a man fanatically wedded to the Covenanter cause, growing more radical and carelessly confident as he travelled around Scotland preaching field sermons. Smith expands her geographical canvas, taking the story outwith Lesmahagow and into the surrounding countryside with government troops scouring the land for rebels, and shows the deprivations that both sides experienced. Several characters travel as far as Glasgow, then a major port with ships coming and going to the continent. She depicts the city as a hive of activity, not all of it legal. Wealthy merchants rub shoulders with the poor and criminal classes in streets teeming with life. Smith’s prose is deceptively simple and she builds real tension into her story, sticking to the facts while creating plausible fiction in the spaces in between. The characters are well defined and generate a range of emotions, from sympathy to horror. John Steel is the hero of her tale but he is no superman. He is clever and well-liked but he makes mistakes and has regrets, the main one being that his wife and children suffer for his rebellious streak. Originally the Times series was envisaged as a trilogy, but fans will be delighted to learn that Smith is working on another two instalments about the life of the courageous John Steel.